Call today at 918-640-6405 or visit online to find out more about how we can install your Tulsa holiday lights. We want to make sure that this Christmas season is the best yet! Don’t over stress this year. Contact Green Leaf and make sure that you have your home turned into a Winter Wonderland. We arrive, install and test the lights to make sure their working. We don’t leave until you are satisfied with the result. Free on-site estimates for home are provided. We get you what you need! Call Green Leaf Lights today to get a jump start on the holidays. During the warm seasons, Green Leaf is known for our quality lawn care service, landscpaing, weed control and weed whacking. We provide quality service and make sure that home owners all over Tulsa have the best lawn possible. Our customer service doesn’t let up during the winter seasons. We simply trade in out lawn mowers for Christmas lights and holiday spirit. We provide the best installers when putting up your Tulsa holiday lights for your home. We do all the work so that you don’t have to. We help you here at Green Leaf! Everyone is busy, busy during the holidays. Its just a fact! The closer Christmas gets, the busier you get. You have to find the tree, buy the tree, trim the tree, get the tree through the front door, put the gifts under the tree, purchase the gifts, wrap the gifts, book the hotel for your in-laws, plan the holiday party and the list keeps going! Who has time to crawl through their attic or hunt in their basement for the box of Christmas lights that might even work. Why not let Green Leaf handle the lights this year? Mark it off your already growing To-Do list. Call now! Planning a holiday party or event? We have you covered! Green Leaf has made it a priority to partner with the top professional and lighting expects who can ensure that your party is a smashing success. We arrive on site to take measurements and offer suggestions that will make the event a huge hit. We have the experienced and creative lighting technicians for have the eye for putting together the perfect holiday atmosphere. Call today to get a head start on the holiday season. Christmas is just around the corner and our goal is to make sure that you don’t get so stressed that you can’t enjoy it. No one wants to dangle from their roof top, risking their lives to hang up lights. Green Leaf is here to do it for you! With the right team, equipment and more we can help you turn your home into the perfect Christmas home. Visit online or give us a call today! Looking To Install Holiday Light This Year? Green Leaf provides every home owner, property manager and business owner with Tulsa holiday lights. Get a head start on the holidays by hiring and booking our team to come do your lights. If your looking to impress your neighbors this year and want your home turned into a Winter Wonderland call us today! We provide you with trained lighting technicians and designers who can install beautiful garland and pre-lit wreaths. We create the perfect holiday atmosphere for your home and business. Call now at 918-640-6405. 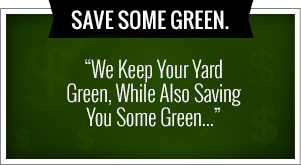 Green Leaf is the number one in lawn care service in Tulsa. 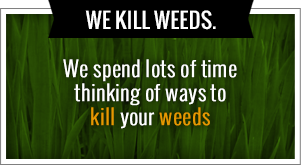 We provide weed control, landscaping, mulching, mowing, weed whacking and more! Our services are known throughout the city as being the best. Home owners love how we dedicate our time and our focus on them. Nothing changes during the holidays. We simply hang up our lawn hats and put on our holiday hats. We hop in our sled and start! What are we delivering? Quality service, lighting installers, a free home estimate, and the best professionals ready to transform your home into the ideal holiday get-away right there in your very own neighborhood! Why hire Green Leaf and our Tulsa holiday lights installers? Time! Time! Time! We save you mountains of time! When the holidays come around everyone gets busy and their TO-DO list increases dramatically. Your running around trying to find those last gifts, choosing a tree and making sure that you mother-in-law as a place to stay when she arrives in town! Busy. Busy. Busy. And don’t forget, its your job to go hunting in the basement, trying to find that box of tangled Christmas lights that your certain only one half works. But what are you going to do? The lights have to go up. Its Christmas after all! Why risk your life dangling from the roof? Why spend an entire day trying to untangle the lights? Why not hire Green Leaf to do it for you! We arrive on site for a free home estimate. We connect you with the trained lighting technicians and designers. We also bring you the best and most highly qualified installers who have an eye for making sure that everything goes smoothly and is a smashing success. We have what you need here at Green Leaf. We love the holidays and love taking away the stress for our clients. Green Leaf hanging up your Tulsa holiday lights. We bring you the greatest holiday cheer and gift straight to your front door.